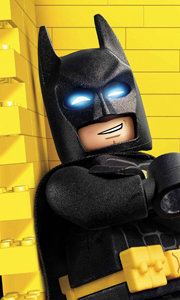 Animated adventure following Lego hero Clutch Powers (voiced by Ryan McPartlin), the best explorer in Lego City, as he sets out on his latest mission to capture an evil wizard (Stephan Cox). Joining forces with other Lego characters including weapons expert Brick (Roger Rose), brainbox botanist Peg (Yvonne Strahovski) and whizzkid engineer Bernie (Jeff Bennett), Clutch travels into the far reaches of outer space and back into medieval t..
Once a pristine, natural paradise, the Kingdom of Chima has become a battleground for eight animal tribes. Best friends are now enemies. The animals fight for control of a natural resource called Chi, a powerful element that is both a source of life and potential destruction. Only a few brave heroes in Chima understand the true nature of Chi, and the possible downfall of Chima that will result from its misuse. Their stories, and the sto..
Own Lego Hero Factory - Savage Planet DVD from Deff, DVD, Blu-Ray & 4K Video Specialists - Free UK Delivery.. The first-ever, full-length theatrical Lego movie follows Emmet (Chris Pratt), an ordinary, rules-following, perfectly average Lego minifigure who is mistakenly identified as the most extraordinary person and the key to saving the world. He is drafted into a fellowship of strangers on an epic quest to stop an evil tyrant, a journey for which Emmet is hopelessly and hilariously underprepared.Special Features Get A Brick's-Eye View Of E.. The first-ever full-length theatrical Lego movie follows Emmet (Chris Pratt), an ordinary, rules-following, perfectly average Lego minifigure who is mistakenly identified as the most extraordinary person and the key to saving the world. He is drafted into an fellowship of strangers on an epic quest to stop an evil tyrant, a journey for which Emmet is hopelessly and hilariously underprepared.Special Features Special Features May Not Be.. The first-ever full-length theatrical Lego movie follows Emmet (Chris Pratt), an ordinary, rules-following, perfectly average Lego minifigure who is mistakenly identified as the most extraordinary person and the key to saving the world. He is drafted into an fellowship of strangers on an epic quest to stop an evil tyrant, a journey for which Emmet is hopelessly and hilariously underprepared.Special Features English/Italian SDH Main Fe.. The first-ever full-length theatrical Lego movie follows Emmet (Chris Pratt), a perfectly average Lego minifigure who is mistakenly identified as the most extraordinary person in the world. He is drafted into an epic quest to stop an evil tyrant and save the world, a journey for which Emmet is hopelessly and hilariously underprepared.Special Features Fan-Made Films: Top-Secret Submissions: Join Chris Pratt As He Introduces Amazing Fil.. The high-tech Kingdom of Knighton is in trouble. The King’s Jester has stolen the strange talking Book of Monsters. Using its evil magic, he summons an army of dangerous Lava Monsters and attacks. It is up to the brave but inexperienced NEXO Knights to come to the rescue!.. Own Lego - Nexo Knights Season 1 - Part 2 DVD from Deff, DVD, Blu-Ray & 4K Video Specialists - Free UK Delivery..
For the first time ever, see the creative world of LEGO come to life in the all-new feature-length DVD movie. Meet Clutch Powers, the best builder and explorer in the LEGO universe as he heads off on his most dangerous mission yet. Get ready for an action-packed adventure like nothing you have ever seen before, The Adventures Of Clutch Powers!Special Features Bad Hair Day - Exclusive Bonus Short Film.. The battle for the Chi still rages in Chima. Laval the Lion keeps struggling to reunite the tribes and to restore his friendship with power-crazed Crocodile crown prince Cragger. But Cragger's cruel sister Crooler has lost faith in her brother, and now allies with the Wolves to dominate Chima. The Wolves are ruthless in their raids, and soon they control the Chi, but Chi is meant to be shared, and the delicate balance of the land is off..
Own Lego - The Legends Of Chima Season 2 - Part 1 DVD from Deff, DVD, Blu-Ray & 4K Video Specialists - Free UK Delivery..
Own Lego - The Legends Of Chima Season 2 - Part 2 DVD from Deff, DVD, Blu-Ray & 4K Video Specialists - Free UK Delivery.. Season One: Part 1: The Lion, The Crocodile and The Power of Chi! Part 2: Chi, Tribes and Betrayals Awesome adventure awaits you in CHIMA, a kingdom once a peaceful paradise but now a battleground for eight animal tribes. The animals vie to control a natural resiurce called CHI, a unique element that is a source of life as well as potential destruction. Only a few brave heroes understande the true nature of CHI, and that CHIMA faces dis..
After losing the throne of Atlantis, Aquaman must escape the threat of the Red Lanterns and learn what it means to be a hero, in order to save the Justice League and the entire planet!.. The morning sun shines on the jewel of the Metropolis skyline, The Daily Planet building. But when The Joker decides this building needs a renovation, it’s time to sound the Trouble Alert because all bricks are about to break loose! The Justice League leaps into action but as the battle is brewing against The Joker something goes haywire with The Flash’s powers causing him to get caught in a repeating time loop and even stranger is the ..
Includes three animated LEGO adventures: The LEGO Ninjago Movie, The LEGO Batman Movie, and The LEGO Movie..